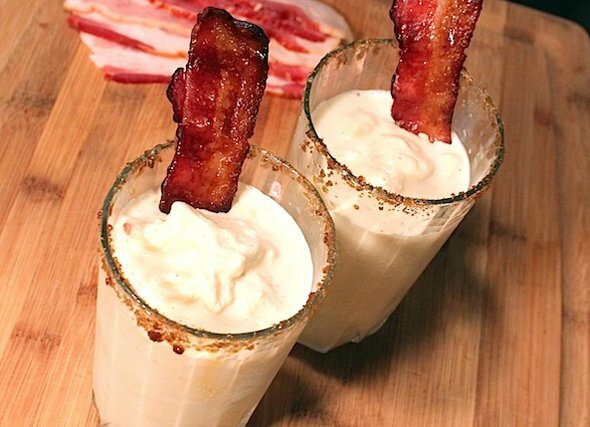 Bacon and peanut butter milkshake, anyone? And we thought pluto pups were artery clogging … they’re nuthin’ compared to the fatty “treats” served up at the Canadian National Exhibition. Held in Toronto for the past 134 years, the food on offer has become legendary. 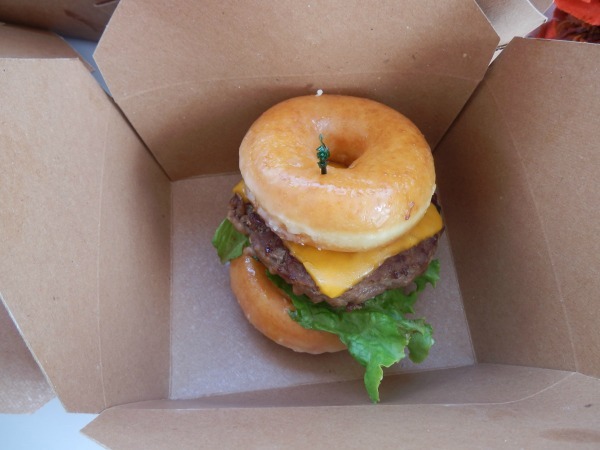 And this year’s culinary creations might just be the most jaw-dropping yet, which is saying something when last year’s big sellers included the 1,550-calorie Krispy Kreme burger (the daily average calories an under-45-year-old woman is supposed to consume is 2000). Spice cream cones - hot, baked cones smothered with Nutella, filled with vanilla soft serve ice cream and topped with spicy chili flakes and crispy bacon. 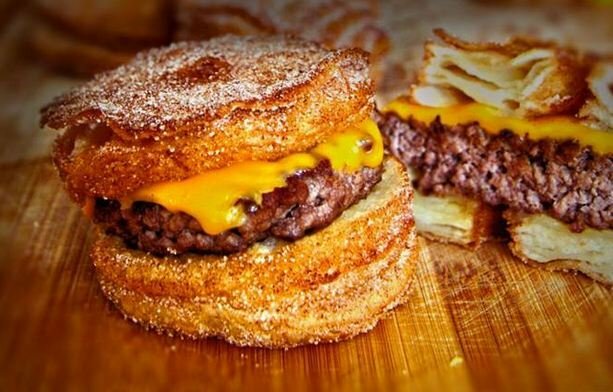 Cronut burgers - created by Epic Burgers and Waffles and described as "Part donut. Part croissant. All epic." Nutella everything - Nutella promises to be a big theme this year with nutella spring rolls and fries, nutella ravioli, deep fried nutella banana, nutella-strawberry grilled cheese and nutella wontons planned. 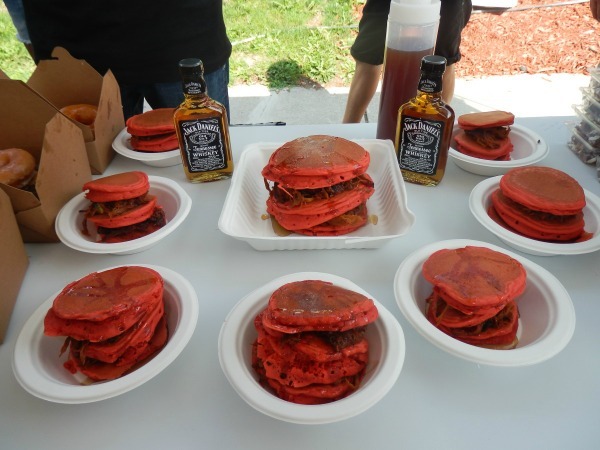 Pulled pork pancakes - red velvet pancakes layered with pulled pork and barbecue sauce, then drizzled with Jack Daniels flavoured maple syrup. Back by popular demand, the Epic Burger - a beef patty, lettuce, tomato and cheese, sandwiched between two Krispy Kreme doughnuts. You can also add in a fried egg and bacon. And if you think no one would be crazy enough to order these things, you are so wrong. The makers of the $10 cronut burger anticipate selling from 500 to 1000 a day. What&apos;s your show food indulgence?